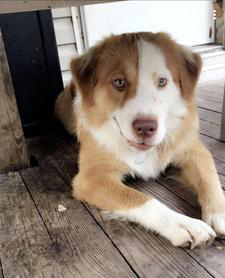 Is It Safe To Breed A Red Tri Mis-Marked Australian Shepherd? I have a red tri mis-marked Australian Shepherd. I know much about the breed and the standards. But still puzzled on if a mismarked tri is safe to breed. He has a perfect bill of health, and parents were NOT two merles. I just know about the excessive white gene being passed on. So I was curious if it was still safe.